4 Amazing Features You Might Find in Business and First Class Written by Mark Smith. Published on 23rd July, 2018 . Whether you’re a seasoned business class traveller, or only upgrade for special occasions, you may have noticed how much the premium classes have changed over the years. 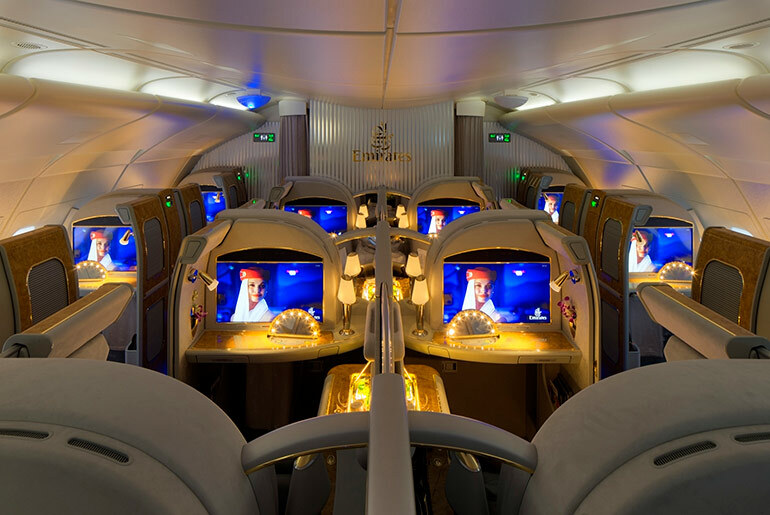 In the past, when you took business class flights, it’d mean a bigger seat and some free drinks, but now airlines are keen to compete and bring in customers with increasingly amazing features and extras, luring people out of increasingly uncomfortable economy classes. Here are some features you’ll only enjoy if you upgrade. With kits designed for men and women, you’ll get useful products that keep you refreshed during your journey, so you can arrive looking and feeling great. If you’re stepping straight off a plane to a business meeting, or just want to arrive refreshed, there’s nothing like taking a shower mid-way through your flight. While you may think an on-board shower will be rather cramped, like an aeroplane toilet, they’re actually spacious and luxurious, with plenty of complimentary designer products to leave you feeling pampered. 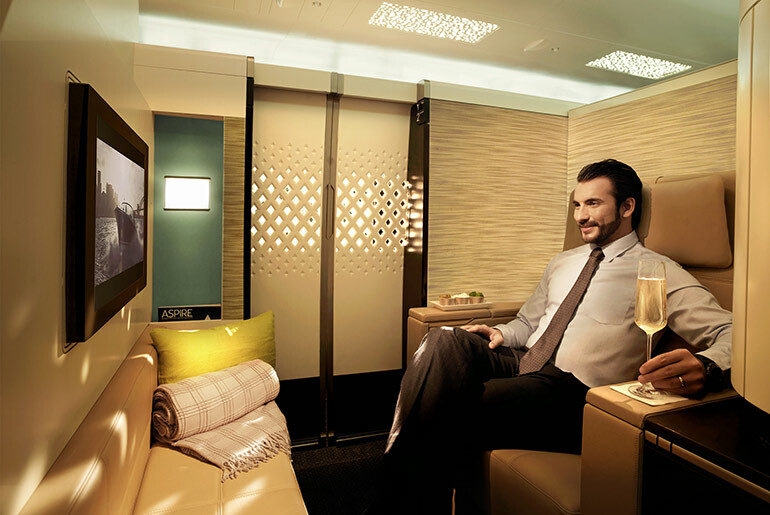 Those booking the Etihad Airways super-suite have access to a private shower room, or there’s a shower room shared with other first class passengers that has towels, a hairdryer, and everything else you need. 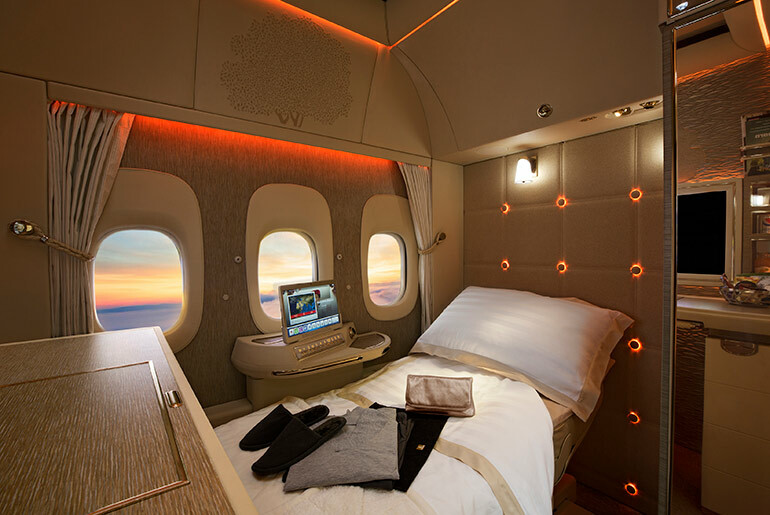 Lie-flat beds in first class are obviously a big step up from economy seats, but for true luxury, many airlines now offer double beds to share with a loved one. While this may sound like an expensive luxury, it’s not just for first class. 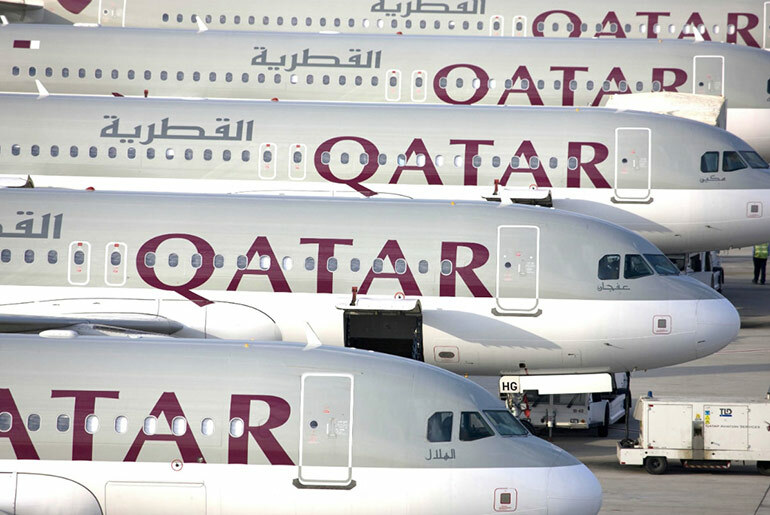 Qatar Airlines often have cheap business class flights, and they offer what’s called Q-Suites, a semi-private space with walls that’s a cosy place to watch TV or work by day and can be converted into double beds at night. This means that those who aren’t used to single bed sleeping can get some rest. Rather than sitting at your seat waiting for a gin and tonic, on-board lounges allow you to mingle and enjoy cocktails and nibbles with your fellow passengers. 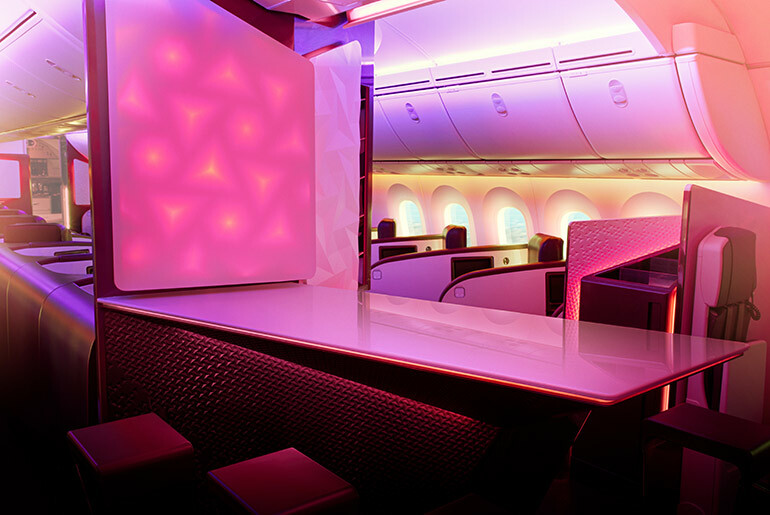 Many airlines now offer on-board bars for their premium class passengers, with Virgin Atlantic included among them, perfect for a pre-bedtime drink on the red eye flights or longer haul trips. With a selection including premium liquors, champagne, expertly mixed cocktails, and an extensive wine list, there’s plenty to choose from as you enjoy the view out of the window. For business class flights at affordable prices, visit justflybusiness.co.uk to see some of the deals on offer from top airlines. Or simply pick up the phone and call 0208 417 1366 and our team will do the rest.